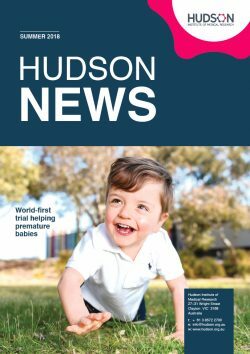 As part of a series on influential women in reproductive health, Professor Lois Salamonsen, Australian Academy of Science Fellow and former Head of our Centre for Reproductive Health, was invited by the journal Reproduction to write a review – My Womban’s Life: Understanding Human Endometrial Function. For more than 35 years, Prof Salamonsen has dedicated her career to improving reproductive health in women and this invitation acknowledges her contribution to endometrial biology and transformative contributions to fertility and infertility. “The focus of my life in science has been to improve reproductive health for women, with an emphasis on the endometrium, the most dynamic tissue in the human body,” Prof Salmonsen explained. Her research has contributed significantly to understanding the endometrium, including changes during each menstrual cycle, to enable receptivity to embryo implantation for a few days in each cycle, and how tissue restores after each cycle. 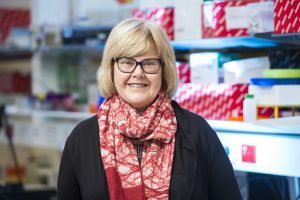 Recently, Prof Salamonsen has led the reproductive field in understanding how the endometrium and embryo communicate via extracellular vesicles, a process that is necessary for pregnancy to occur. Prof Salamonsen said greater knowledge of the endometrium is essential to reducing infertility rates, with her work contributing towards developments in IVF practice. “Infertility affects one in six couples worldwide. Endometriosis, an often debilitating disease whereby endometrial tissue grows outside the uterus, affects one in eight women worldwide. These findings could help to improve quality of life for many people,” she explained. She said that over her career, she has collaborated with many outstanding scientists – too many to individually acknowledge, but is “indebted to all those and the students who have shared my passion for the endometrium”. This news article was posted on 11 February, 2019 . It was last updated on 14 February, 2019 .